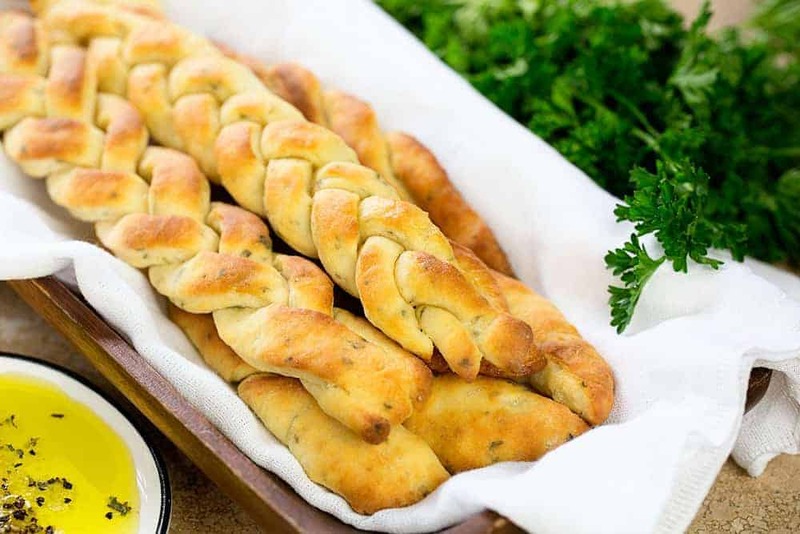 Have you ever wanted to learn how to homemade breadsticks? Soft, from scratch breadsticks, are actually very easy to make. Even if you don’t have any yeast in the cupboard. I love, love, love homemade breadsticks. Did I mention, I love them? Especially when I can make them quickly with ingredients I already have in the cupboard. Sometimes you just don’t have time to wait for carbs. Am I right? The dry ingredients in this homemade breadstick recipe are quickly formed into a dough with just a splash of milk. Contrary to popular belief, breadsticks do not need yeast. You can have soft buttery breadsticks, without the wait. Simply mix together all of the dry ingredients and then slowly add milk until you have a soft ball. If you add too much milk, you can cut it back by adding some additional flour. 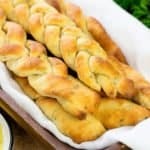 Once molded, this homemade breadstick recipe can be cut, twisted, braided, or shaped however you prefer. Once you have the shape you want, simply pop them right into the oven. In less than 15 minutes you’ll be helping yourself to some tasty breadsticks. We like to brush on a little extra butter once they are come out of the oven. Let me count the ways. You can sprinkle some mozzarella or parmesan on the top right before baking or go crazy and wrap a string cheese stick on the inside and have a cheese stuffed breadstick. Add some crumbled parmesan to the dry ingredients or on the top, or both! You can really use your imagination with cheese. This breadstick recipe only cooks for 15 minutes, which means the cheese will be bubbly and perfect! How do these compare with Pizza Hut Breadsticks? To get the pizza hut breadstick effect, mix together 2 Tbsp parmesan cheese, 1 Tbsp garlic powder, 1 Tbsp garlic salt, 1 Tbsp onion powder, 1 Tbsp oregano and 1/4 cup olive oil. Brush that over the top of the sticks before baking. Remember, this recipe does not call for yeast, so they won’t be as fluffy as a Pizza Hut Breadstick, but they will still taste amazing! Can I make Cinamon and Sugar Breadsticks? You sure can! To do that, you need to swap out a few ingredients. The garlic salt and the parsley flakes will need to go for this to work. Simply switch them with 1 tsp of cinnamon and 1 tsp of sugar. Follow the rest of the recipe just like normal. Take them to another level in the end. After drizzling them with butter, sprinkle some additional cinnamon and sugar on top. The high heat with carmelize the topping and make it taste like a cinnamon roll. You could even make a vanilla glaze for dipping or drizzling. Can I Use this Recipe for Pizza Crust? What do you serve with these Breadsticks? These breadsticks are our go-to for every meal. They make an excellent addition to any kind of saucy meal, from a gravy to a soup, you won’t be disappointed. We like to serve it with Cheeseburger Soup, Chicken Taco Soup, Beef Stew, Homemade Chili, or Roasted Broccoli and Cheese Soup. An alternative is to just grab some marinara or some garlic butter and they are a meal all by themselves. 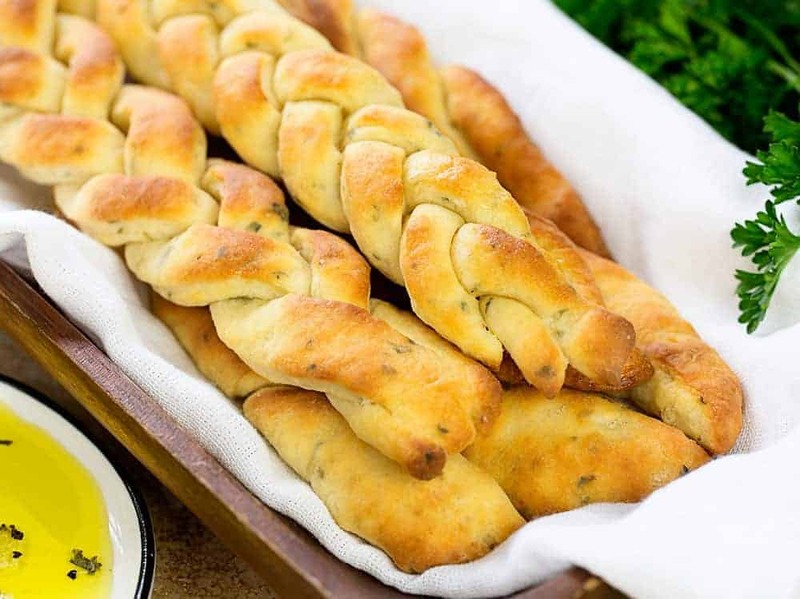 These breadsticks are so versatile and so easy to make! 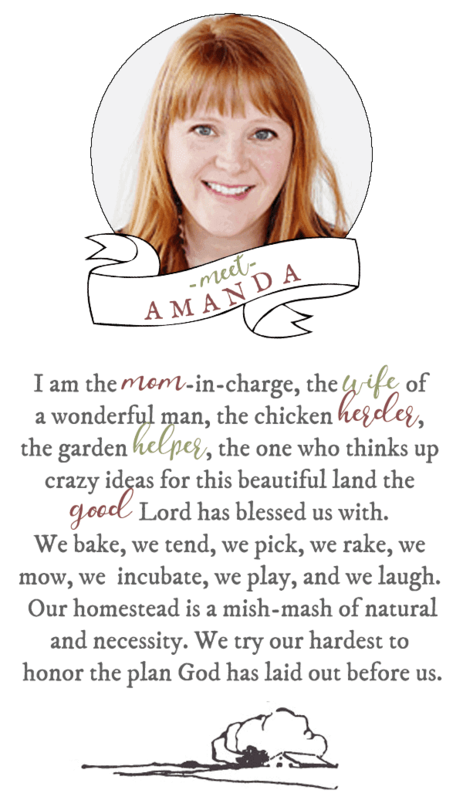 Looking for other bread recipes? Knead gently 3 or 4 times on a floured surface. Roll out into a rectangle and cut into 12 sticks. Put the melted butter into a large baking dish, and turn the bread-sticks to coat them with the butter. Marble Rolling Pin: I just love this pin, I even keep it on display in my cupboard. More important than how it looks it how it works, the marble stays cold so it helps it stick to dough less, and the handles roll with ease! Pastry Brush: A fun variation of this recipe is to melt some butter and mix in some garlic salt and brush it over the top of the breadsticks. This pastry brush is a must! Did you make the Breadsticks? Basically you are making a flat dough recipe. It can also be used to make flat dough just lightly fry it in a cast iron pan for a minute or so each side and make flat bread sandwiches with it also. 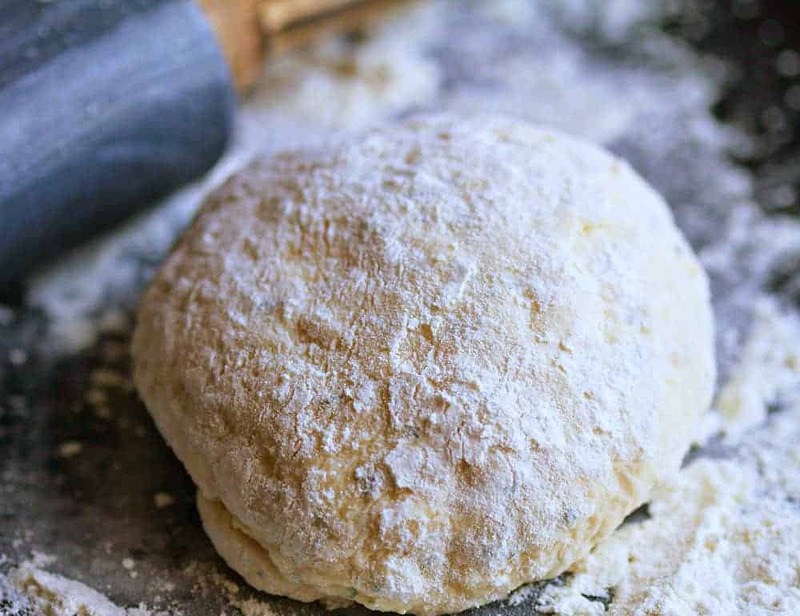 You also might want to try putting rosemary chopped and parmasan (sp) cheese in your dough for serving with pasta. And in case you didn’t know once at the shaped stage it will keep in the fridge for up to 3 days. So instead of making all your bread sticks or flat bread at once you can make them as you want them. They taste better that way.